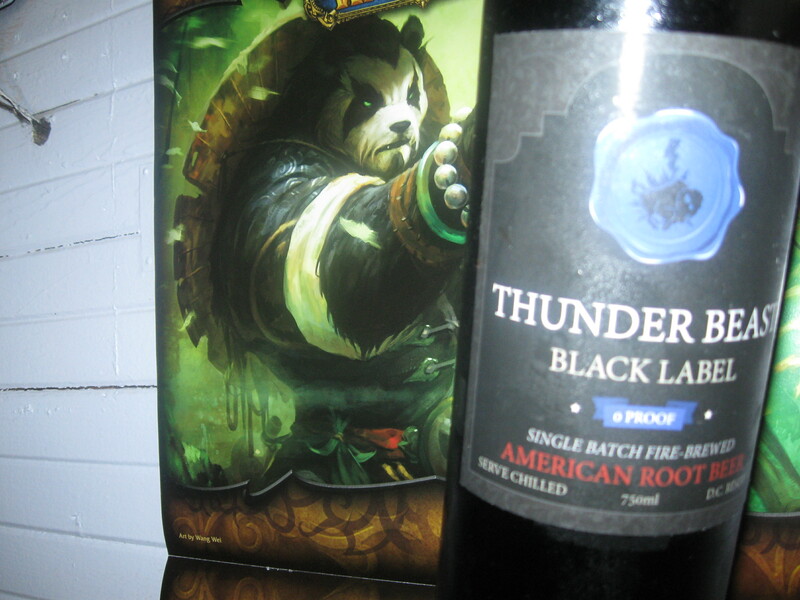 Thunder Beast’s Black Label is without a doubt the fanciest root beer in the world. Each bottle comes in recycled wine and champagne bottles with a cork and wire cage covered in gold foil. aftertaste of what I thought was of walnut. Ill have to talk to Stephen about that. Limit of 2 bottles per order, otherwise additional shipping charges will be applied. However, multiple orders of 2 bottles are allowed. 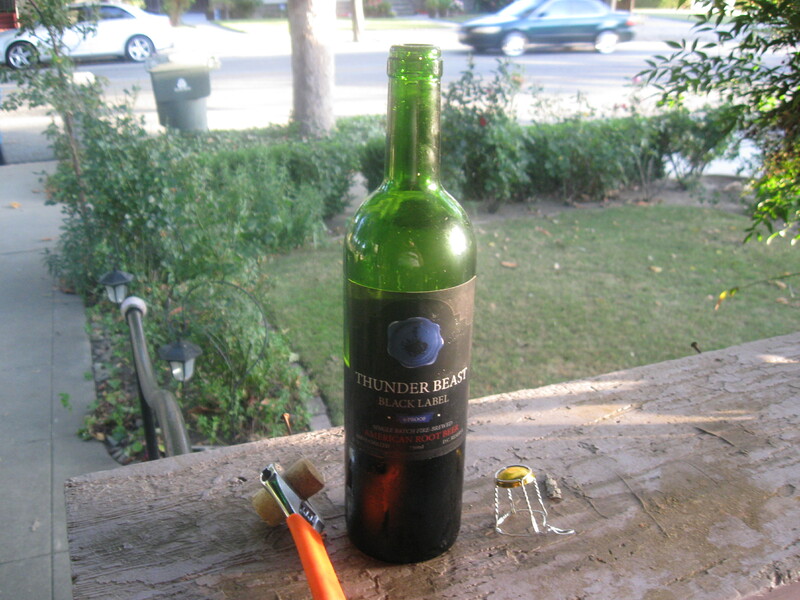 The cork is most easily removed with a corkscrew. We can only ship 2 bottles per package (Chocolate Thunder and/or Black Label). Additional shipping fees will be added in increments of 2 bottles, unless you have a teleportation device compatible with ours (v. 3.4Q protocol). Shipping runs $10 on the East Coast, $12 in the Midwest, and up to $15 out West. Local delivery in DC is $5 per order. Do it. Get some. 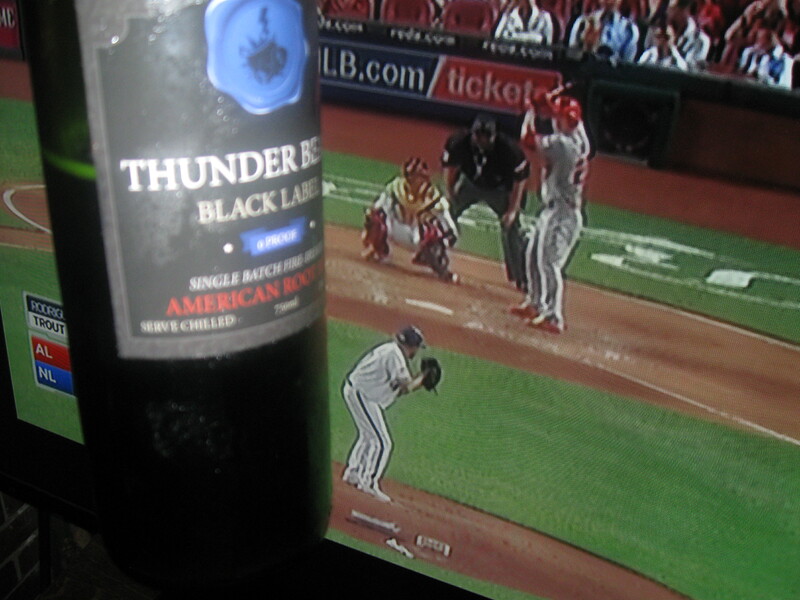 Drink Thunder! with my other root beer at the bottle of the refrigerator. I unwrapped the bottle and struggled to get the cork out of the top of the bottle. I went outside just in case the bottle exploded. It did not. 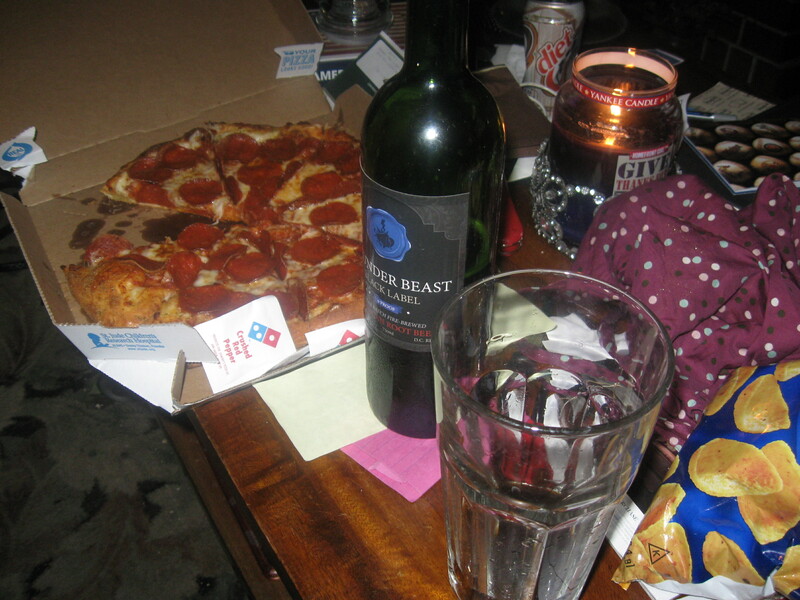 Meg was playing World of Warcraft in her study and I arranged the coffee table for our mugs and root beer. Root Beer going with a good steak dinner,fruit and dark green lettuce salad with walnuts.